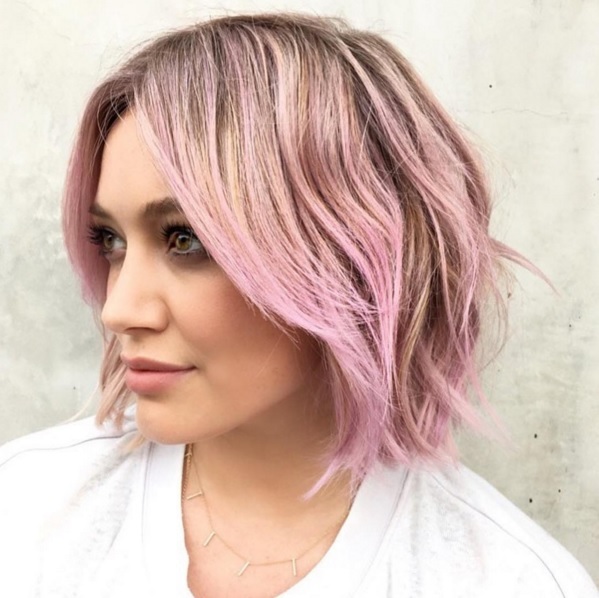 Hilary Duff debuted her pink hair after leaving NINE ZERO ONE salon in Beverly Hills. Co-owners Nikki Lee and Riawna Capri worked with fellow NINE ZERO ONE stylist Amber Maynard-Bolt to tone, cut and color Hilary's hair for a fun and flirty iced sorbet pink look. You may also want to see how Justin Bieber went with the platinum hair color look last week. See more hair trend news about Nine Zero One here on the Fashion Blog. Learn more about Hillary Duff from social media and other sources.